If you need professional CNC lathe machining services, there are several important factors to consider. For a precision finished product using CNC turning, it is to your advantage to use due diligence by researching several companies. That way, you can compare services and qualifications, thereby selecting the one that best matches your needs. CNC Lathe Machine – The quality of your finished product depends in large part on the CNC lathe machine used to perform the work. If a company uses an outdated machine, you could potentially end up with a subpar product, whereas when you use a state-of-the-art machine with the most innovative tools, the product will exceed your expectations. Therefore, make sure you work with a company with cutting-edge machinery, including lathe machine parts and functions. Workpiece Quality – The same holds true for the quality of the workpiece you select. Regardless of whether you need a part or component made of plastic, wood, steel, copper, or aluminum, the workpiece must be of superior quality. 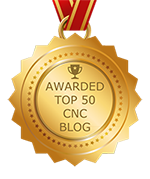 When researching different companies, you have every right to ask about the grade of materials used for CNC machining operations. Experience and Expertise – You also need to consider the company’s level of experience and expertise. You should expect that a company that is comprised of a team of designers, programmers, engineers, and other experts will provide years of experience as well as unparalleled knowledge and skill in CNC machining. Capabilities – To produce a finished product based on your specifications, it must be fabricated to tight tolerances. Even being off a small degree could easily compromise the quality and functionality of the product. Therefore, get information about the range of tolerances that a company can meet. Technical Support – The good news is that by hiring a reputable source for CNC lathe services, problems seldom arise. However, if something does not meet your specifications, a quick resolution is essential. The right company will provide excellent technical support to ensure that you get what you ordered every time. Programming – Because a CNC lathe machine performs a task based on what a turning machine dictates, which gets its information from a computer program, any company worth hiring will utilize only the most innovative CNC programming available. For the assurance that your finished product will meet your specifications, you can always count on us at NexGen Machine. For CNC turning, lathe, drilling, milling, and more, we have the qualifications to perform stellar work. Please visit us online or call to learn more.